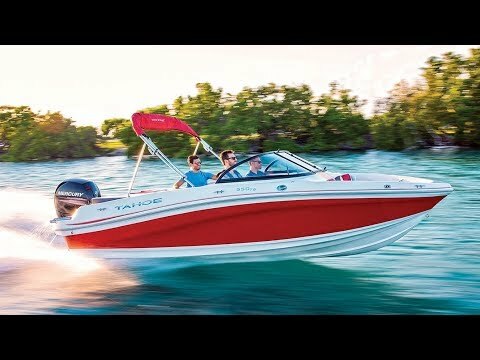 With up to a 175-horsepower outboard, the TAHOE 550 TS is a performance-minded sport boat that’s perfect for families looking for the right amount of space, comfort, convenience and style at the right price. Outside, the POWERGLIDE hull design assures fast holeshots and nimble handling. And inside, features like fore, midship and aft seating, deep storage compartments, a walk-thru windshield and more assure your whole crew of a comfortable fun-filled day cruising and relaxing.